Just announced! 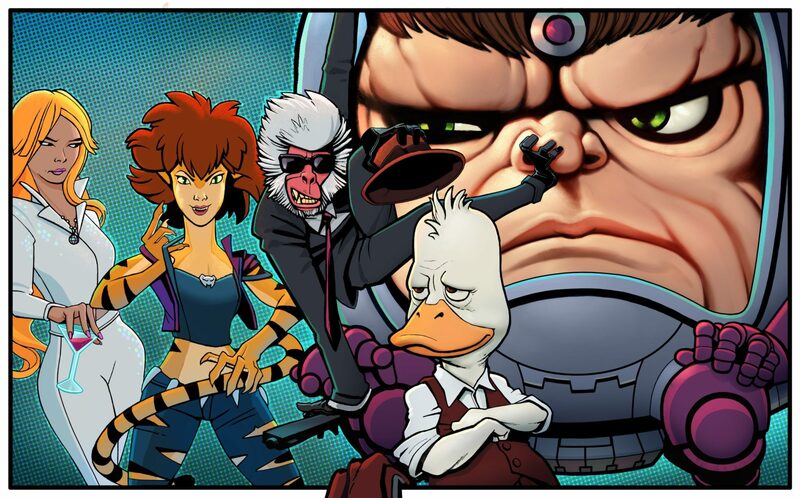 Marvel is producing four new animated series based on some of Marvel’s most bizarre and quirky characters: Howard the Duck, M.O.D.O.K., Hit Monkey and Tigra & Dazzler! These four series will also come together in an animated crossover event: The Offenders! These new animated series will be exclusive the Hulu streaming service and also boast some great talent behind the scenes: Howard the Duck from creative team Kevin Smith and Dave Willis – M.O.D.O.K. from creative team Jordan Blum and Patton Oswalt – Hit Monkey from creative team Josh Gordon and Will Speck – Tigra & Dazzler from creative team Erica Rivinoja and Chelsea Handler!